One enters the Dylan Amsterdam through a 17th-century arch and gateway, then walks across the courtyard to the lobby: fitting, for a building that’s about 245 years old. 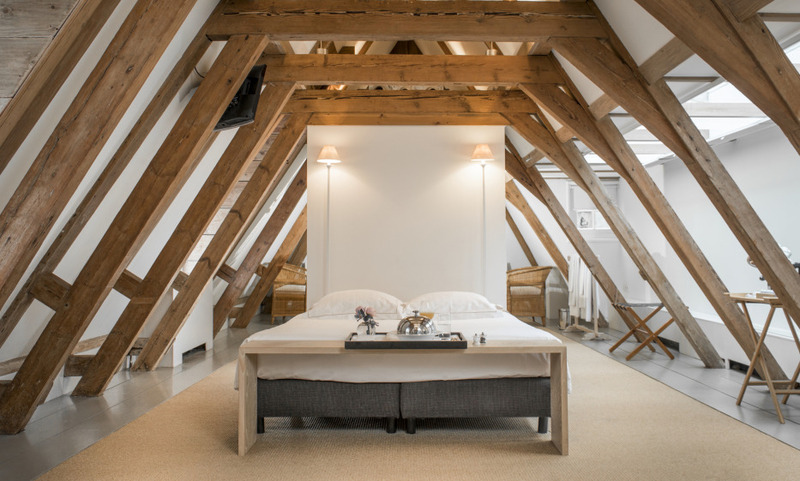 What once used to be a charitable foundation and alms-house is now a chic, intimate boutique hotel, ideally located on the Emperor’s Canal – the famous Negen Straatjes shopping district lies only a few minutes away. Expect old world flourishes – wood-paneled walls, leather furnishings – fused with a very modern aesthetic. Food & Beverage, the kitchen was awarded 1 Michelin Star. A perfect place to stay in Amsterdam. Beautiful hotel with friendly staff. The restaurant is fabulous and deserves its rewards. All in all, a superb stay. Enjoyed it very much and would return when I return to Amsterdam. one of the best in town. Great service. The Dylan has a fabulous location and it’s a beautiful hotel. The concierge service was fantastic and they managed to get me Anne Frank tickets when I had not been able to. We really enjoyed our stay.